This is the first of what I'm going to call my Expat Adventures posts. After a couple months of living in Amsterdam, Dani and I finally took our first touristy trip out of the city. 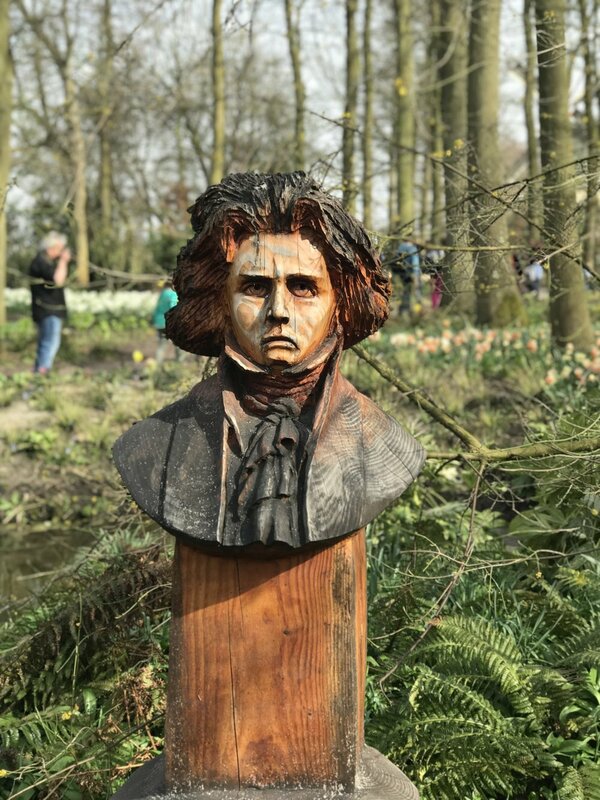 We visited the Kuekenhof Gardens in the town of Lisse. The gardens are only open for a couple months in the spring each year. They are 32 hectares of beautiful gardens, with eateries, art, a playground, a petting zoo, windmill and a hedge maze. We took a Tours and Tickets bus from the Amsterdam City center, which dropped us off right at the gardens gate. They gave us a little over three hours before we had to board the bus and get back, which is plenty of time to tour the entire place. The grounds are split into different areas and include several large buildings. The buildings had different setups including a display history of tulips, an amazing building full of orchids, and one with a series of different intricate displays. In the large center building there were beds and beds of flowers on display from different growers in the Netherlands. Who knew there were so many different types of tulips? Not me! After a few hours, we boarded the bus and headed back to the city. All in all, it was a very fun and fragrant afternoon. It's one of those places, that if you find yourself in the Netherlands in April/March, you should definitely check it out! In the mean time, check out a few of the photos I took below. Tot later! Next weekend, we are visiting Disneyland Paris for the first time!